Monitor Audio and Roksan to adopt BluOS hi-res multi-room technology | What Hi-Fi? We can look forward to streaming products from Monitor Audio and Roksan that will work with the Bluesound range. Monitor Audio and its sister brand Roksan have announced an agreement with Lenbrook International, the owner and developer of the BluOS high-resolution multi-room platform that sits at the heart of its Bluesound products. The news means that future streaming products from the two hi-fi brands will be based on the BluOS streaming technology and work with seamlessly with Bluesound kit. 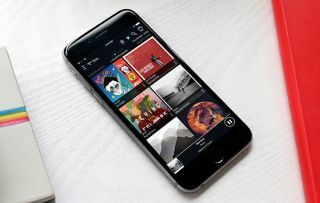 The proprietary, brand-agnostic BluOS technology, which has proven itself within Bluesound's largely well-reviewed ecosystem of multi-room products, enables direct streaming from a multitude of music streaming services, as well as streaming of music (including hi-res audio files up to 24-bit/192kHz) from a server on the same network. The technology works in a multi-room capacity with one or more BluOS-based products, and is manageable and controllable within the BluOS app (for Android and iOS). Since its debut implementation in Sonos-rivalling Bluesound products, BluOS technology has been licensed in other brands’ products, including a range of electronics from NAD (also owned by Lenbrook), and Dali’s Callisto active speakers. While neither brand involved in the new agreement has revealed what the first products will be on Monitor Audio or Roksan’s BluOS roadmap, we can take a guess that one of the first under the Monitor Audio branding will include a pair of speakers conceptually similar to the Dali speakers.